War crimes judges will Thursday hand down an eagerly anticipated ruling on whether South Africa flouted international law by failing to arrest Sudanese President Omar al-Bashir in 2015, wanted for genocide in Darfur. “The ruling is… fundamental for future compliance,” said Carsten Stahn, international criminal law professor at Leiden University. A decision against South Africa “would send an important message that states cannot negotiate (their) legal obligations with the court,” he told AFP. The long-time ruler has denied the ICC’s charges, including three accusations of genocide as well as war crimes and crimes against humanity. The deadly conflict erupted in 2003 when ethnic minority groups took up arms against Bashir’s Arab-dominated government, which launched a brutal counter-insurgency. Bashir continues to travel and Khartoum announced Monday he will visit Moscow for the first time in August following an invitation by Russian President Vladimir Putin. Russia formally withdrew its signature in November from the ICC’s founding Rome Statute, a treaty Moscow has never ratified. Despite the arrest warrants, Bashir then flew home unhindered. It remains unclear whether he did so with the tacit approval of South African President Jacob Zuma’s government. At a landmark hearing in April, Pretoria disputed accusations by the ICC’s prosecutors that it had broken its obligations to the very same tribunal it helped found in 2002. Pretoria’s lawyers argued there “was no duty under international law on South Africa to arrest” Bashir, saying he enjoyed diplomatic immunity. International law experts agree the ICC’s judges are likely to find South Africa failed in its obligations to arrest and surrender Bashir. “The manner and tone in which the decision is meted out will be of utmost importance,” said international law expert Mark Kersten of the University of Toronto. “It is possible, and what many hope, is that the decision will show some degree of understanding, and perhaps lenience towards South Africa and suggest that the matter continues to be debated at the appeals level,” Kersten told AFP. The ICC’s judges could also refer the case to the court’s Assembly of States Parties or the UN Security Council for further action. Kaajal Ramjathan-Keogh, executive director at the Southern Africa Litigation Centre, said it was far from certain judges will refer the case to the UN Security Council amid “certain sensitivities” about Pretoria’s continued membership. And if they do then “the effect, looking at the ICC’s history, is going to be minimal,” she added. 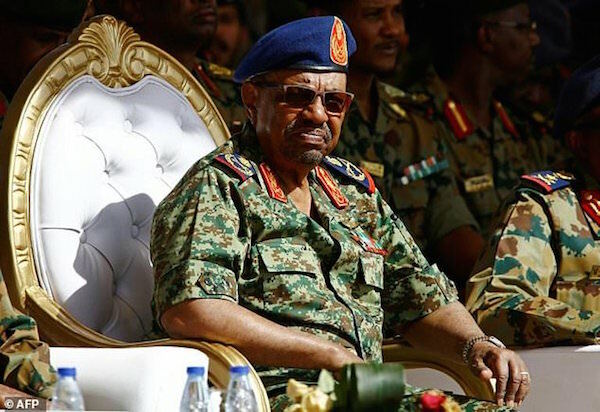 Last month, the ICC’s chief prosecutor Fatou Bensouda renewed her call for UN Security Council support in “efforts to execute the arrest warrants” against Bashir. “At a minimum, the council should demonstrate its support for the work of my office by taking concrete action in response to decisions of non-compliance or non-cooperation referred to it by the court,” Bensouda said.